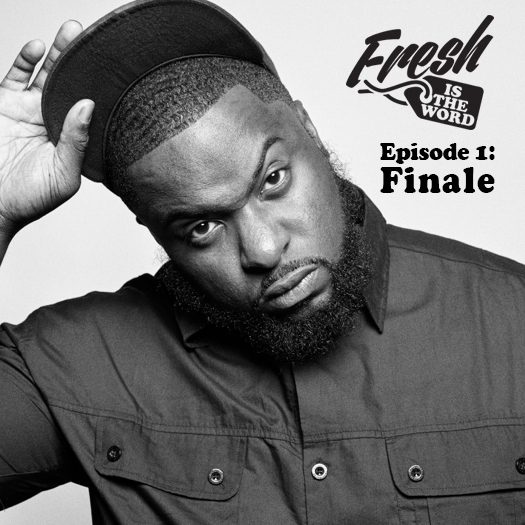 Welcome to the first episode of the Fresh Is The Word podcast. This is a podcast about music and wrestling, and for the first episode, your host K-Fresh has Detroit hip-hop artist Finale. Recently, Finale released his new album Odds & Ends produced entirely by Oddisee on the Mello Music Group record label. On the podcast, we talk about his new album, his family, meeting Canibus for the first time, working with Mello Music Group, Apollo Brown, working day jobs, the girls I used to bring back to the crib when we were roommates, relationships with women, the dynamics of marriage, coming up in the Detroit hip-hop scene, how the movie Roadhouse change his life, and the maturation of hip-hop.